Aadhaar-issuing authority UIDAI has issued a stern warning to enrolment agencies for refusing enrolment to residents citing technical glitch or on any other pretext, and termed such refusal as "corrupt practice". 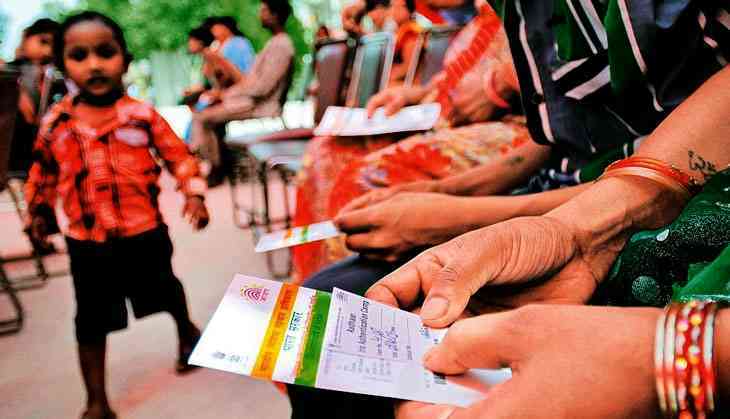 The UIDAI has said there is no question of turning back residents seeking enrolment when, in fact, operators are required to renew their registration with the authority every 10 days qualifying them as being fit to offer such services. "We are getting a lot of complaints that Aadhaar enrolment centres listed on our site are refusing to do enrolment on one pretext or another. This amounts to corrupt practice," Unique Identification Authority of India (UIDAI) CEO Ajay Bhushan Pandey told PTI. There are 25,000 active enrolment centres across India. Incidentally, all the enrolment agencies will have to shift to government or municipal premises from external sites in coming weeks, bringing them under direct supervision of the authorities. "It is the operator who lists the services on our website. When they register, it is assumed that their machine is working and they are in a position to enrol people," Pandey said, adding that there is no reason why agencies should not enrol people or turn them back them citing technical issues. Moreover, the renewal of registration by enrolment agencies (EAs) every 10 days is an indication that they are indeed in a position to enrol, he pointed out. "Refusal to enrol is tantamount to corrupt practice. We have issued a stern warning to all EAs and operators in this regard through our field offices, and request people to also report cases of refusal... So, strong action can be taken against the agencies concerned," he said. The EAs flouting norms can be fined Rs 10,000 for first offence and Rs 50,000 for a repeat one. Thereafter, the agencies indulging in corrupt practices can be blacklisted. Pandey also said there have been some complaints of people being asked their Aadhaar number and OTP on phones by callers claiming to be from banks or telecom companies. He cautioned people against disclosing their Aadhaar number and OTP on the phone. "The person calling may claim to be from bank or telecom firm or government department. People should not fall prey to this or disclose their Aadhaar number or OTP on the phone. Nor should they enter their Aadhaar number or OTP received, on any unauthorised websites," he said. The UIDAI is the nodal body responsible for rolling out Aadhaar, the 12-digit biometric identification number, to all residents. Till date, Aadhaar has been issued to more than 115 crore people.